TORONTO, ON., (April 28, 2013) – Toyota Canada wrapped up Earth Week in style on Friday, venturing into the local community for some heavy-duty spring cleaning. 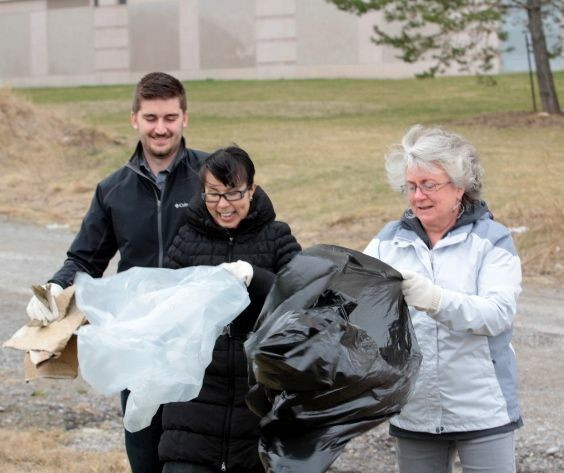 Changing out of their business attire and into running shoes and gloves, a turnout of 70 Toyota Canada executives and associates dedicated their lunch time in TCI’s annual “make-over” of the outdoor area near the organization’s Head Office. 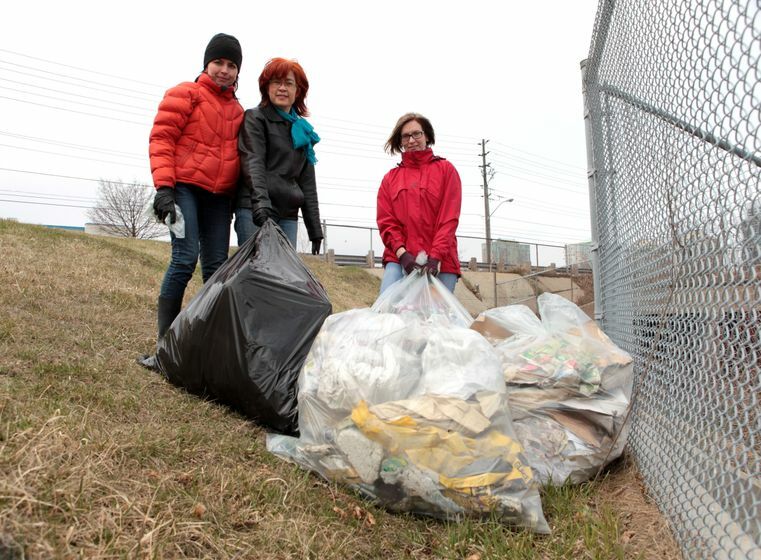 They stuffed a record number of 104 bags full of garbage, surpassing the 70 collected last year. Additionally, 7,779 lbs of e-waste was collected this year, surpassing last year’s record. The executives and associates were divided into five groups. 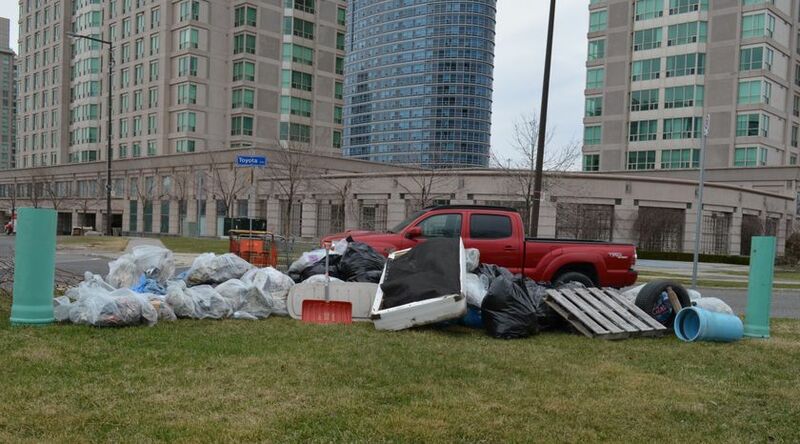 Each was responsible for collecting garbage at a separate location – outside the Head Office building itself and in a nearby ravine. Going one step further, all the bags were taken back to Head Office and divided into recyclable and non-recyclable trash. Additionally, e-waste days were held at the Head Office campus to collect difficult to dispose household hazardous waste. The majority of the e-waste was distributed to an OES certified recycler.